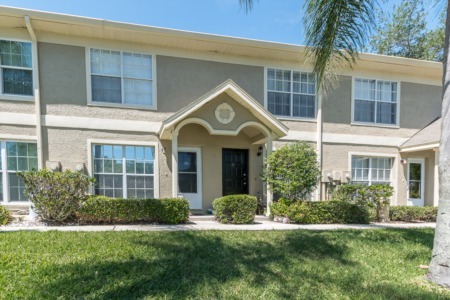 The gated community of Westwind located in the popular East Lake area of Palm Harbor, Florida in the Ridgemoor subdivision fashions immaculate real estate properties. Homes for sale in this picturesque neighborhood are moderately priced with custom amenities. Westwind's gorgeous four to five bedroom single family homes of approximately 2500-3500 square feet of living space range in price accordingly. The elegant looking properties throughout Westwind beautify the area with well manicured lawns and yards. 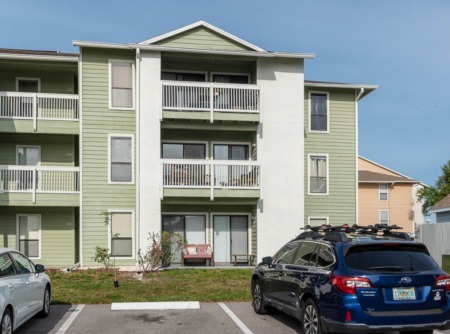 These homes offer magnificent features such as marble top baths, Jacuzzis, gourmet kitchens, wood cabinetry, built in desks, over-sized three car garages, stunning entranceways, and so much more. An annual homeowner association fee offers you tennis, basketball, playground, with miles of walkways and sparking fountains and ponds adding to the fabulous views throughout the community. Living in Westwind brings you to the sandy beaches of the Gulf of Mexico in only 20 minutes. Walk, bike, and skate on the Pinellas Trial, picnic at John Chesnut Park, work out at the local YMCA, and golf at Lansbrook public golf course. Close to shopping, restaurants and too much more to list. Selling your home in Westwind? 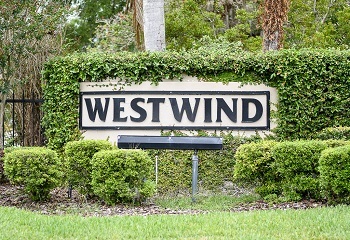 Westwind is a popular neighborhood in Palm Harbor. Have you thought about selling your home? You can trust Lipply Real Estate to work with you and make the most out of a possible sale. We have been working within this area since 2002. Call us today to find out more information or to schedule a meeting to discuss the best plan for you.